Barbara Erskine is a best-selling writer and is the author of eighteen novels, at once demonstrating her interest in history and the supernatural, plus several collections of short stories. Her books have appeared in at least twenty-six languages. Barbara’s first novel, Lady of Hay, has sold over three million copies worldwide to date. She now lives in Hay-on-Wye but once lived near Woodbridge, so always loves to return to this area. 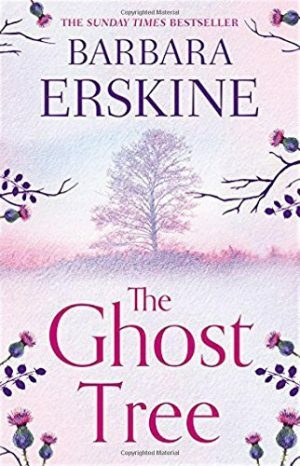 We will be talking to Barbara about her new novel The Ghost Tree which is a tale of tracing ancestry and explores the life of her great grandfather, five times removed, Thomas Erskine, who rose from genteel poverty in Scotland to become the Lord Chancellor in 1806. Thomas famously had a ‘second sight’ and the novel explores how this impacted his life and career. We will also be revisiting River of Destiny, Barbara’s novel set in and around Woodbridge. the novel is about an Anglo Saxon burial ground that must not be disturbed. A Victorian tragedy of forbidden love. And an ancient curse whose power grows ever stronger. On the banks of the River Deben lies a set of barns dating back to the Anglo Saxons, and within their walls secrets have lain buried for centuries. Barbara will be sharing her inspiration for her novels and is happy to be asked questions. She is truly a fascinating speaker. This is an evening not to be missed! All of Barbara’s books will be available on the evening at discounted prices. All Barbara’s novels are also available on Woodbridge Emporiums Website.